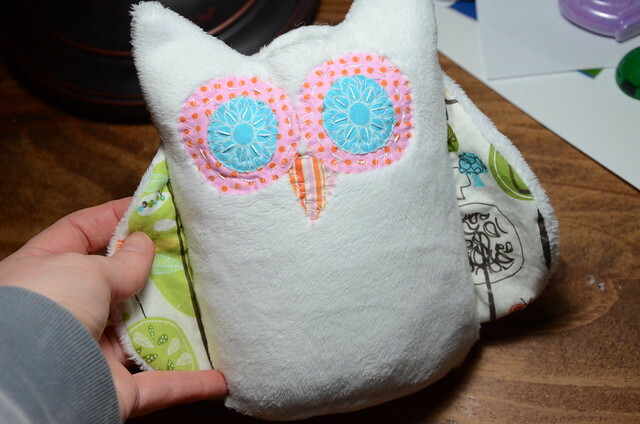 It's been awhile since I have made an owl softie, so I have been itching to create a new simple pattern. 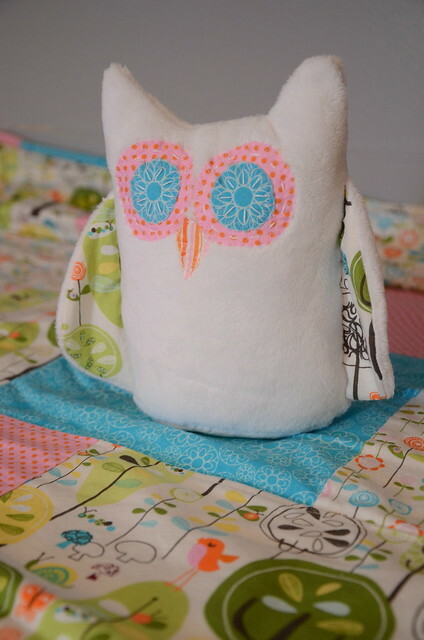 I thought I would use some of the scraps from the quilt I just made to make a sweet owl for the new baby. I snapped some (dark) photos of the process so I could include a tutorial. The first thing you are going to do is cut out your pieces. You can print the pieces using the link below. I used a minky fabric for the main body pieces and back side of the wings, but you could use whatever type of fabric you have on hand. 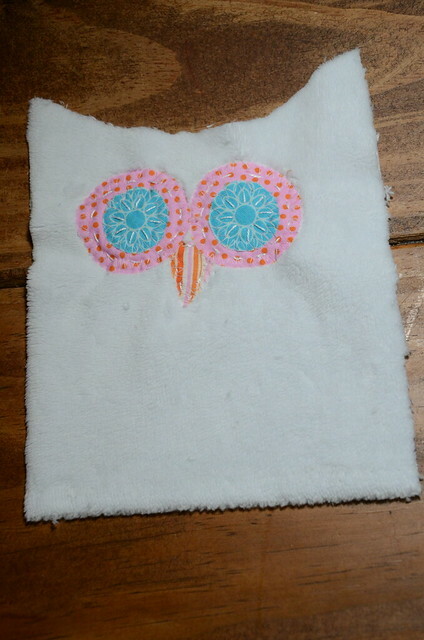 I think this owl would be really cute made out of felted wool. I used scrap pieces for the face and wings. Then applique the face on one of the main body pieces. Sorry I have no photograph of the pieces before I sewed them on. 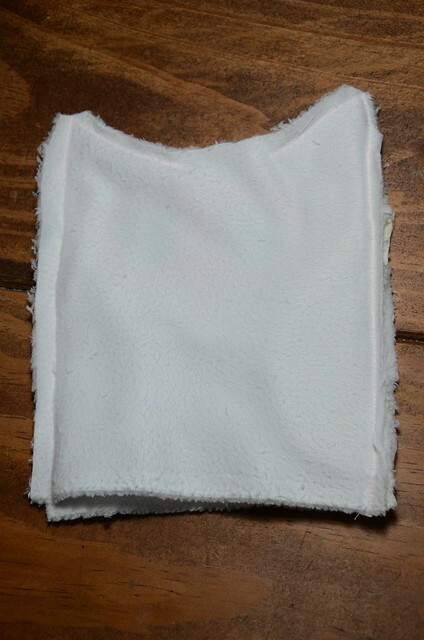 I did not use fusible interfacing because I was lazy. I just basted it in place then zig zagged around the edges. 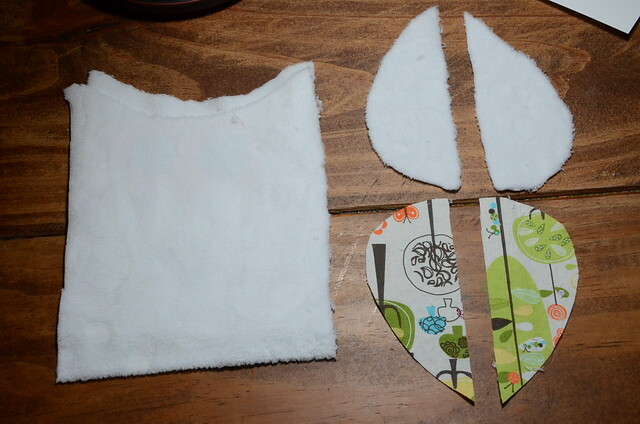 Take the wing pieces and place them right sides together. 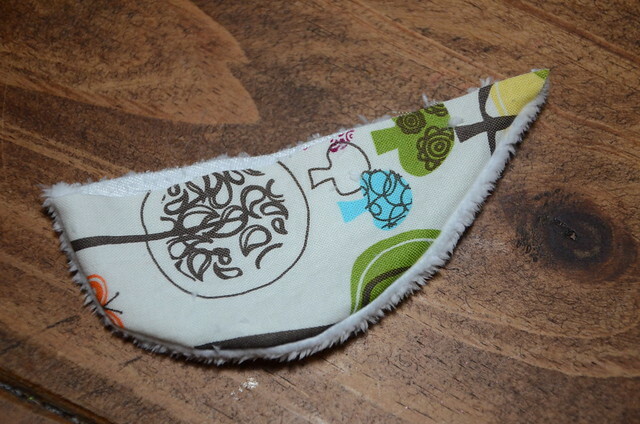 Sew around the curved edge. Keep the straight edge open. 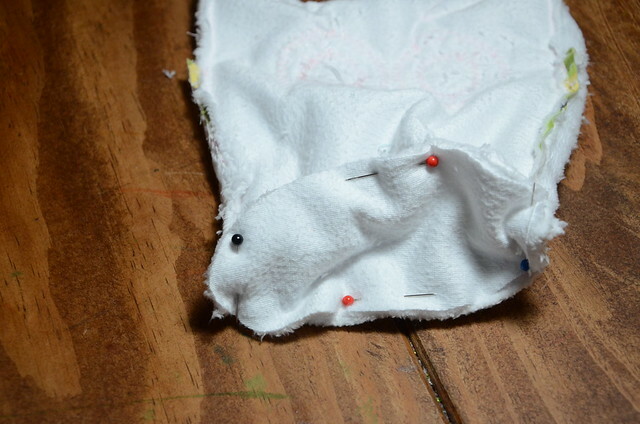 Place the wings on the main body piece that has been appliqued with the printed fabric side down. 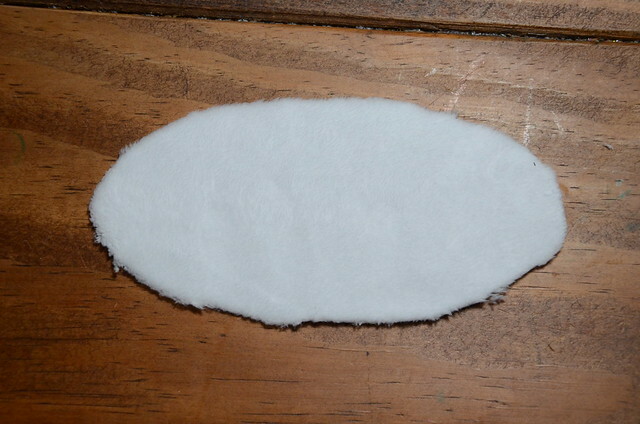 Place the other main body pice on top with right sides facing. 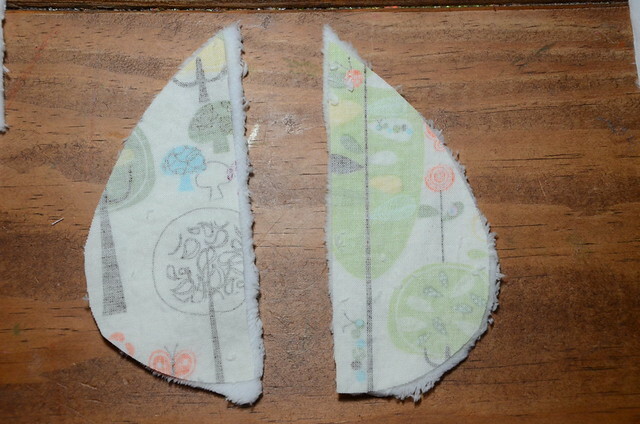 Sew along both sides and ears leaving a space for turning between the ears. 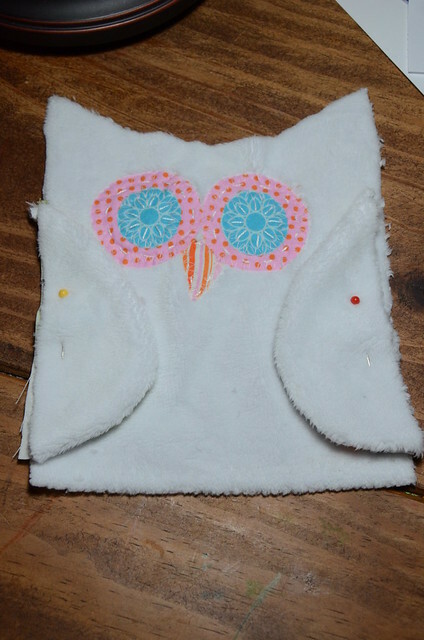 Take the oval piece and pin it to the bottom of the owl. Here's another look. This is definitely the trickiest part. 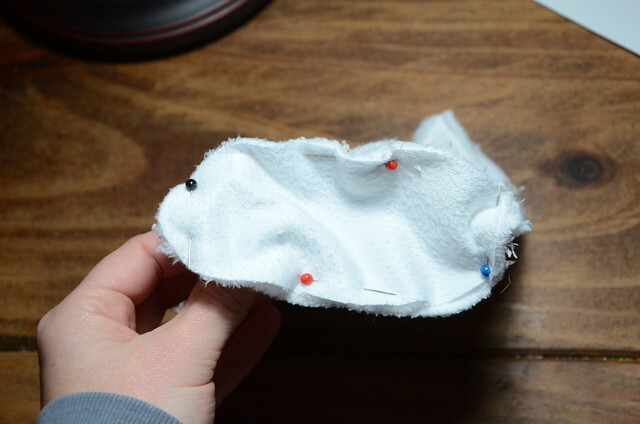 Sew all the way around the bottom. Turn right side out through the opening in the top. Stuff with your favorite filling. Then hand sew the opening shut. That's it. This took me less than an hour from start to finish. Gotta love that!! That does look cuddly and very cute! Thanks for sharing your tutorial. I will have to add that to the baby gift pile. I have so much minky that this would work well for, since they are all extra pieces off blankets. This is so cute and huggable! 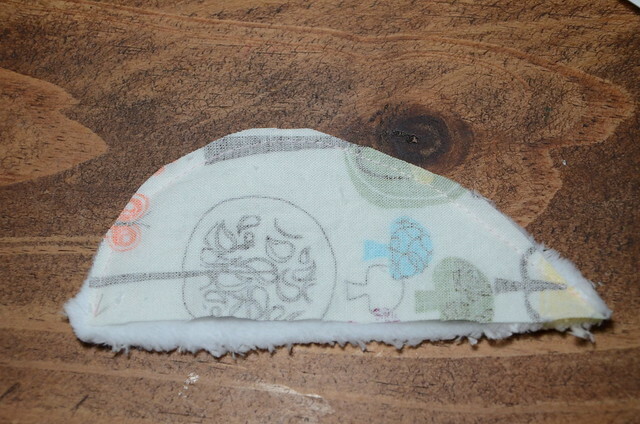 Love the minky fabric you used, makes the texture super nice and soft! 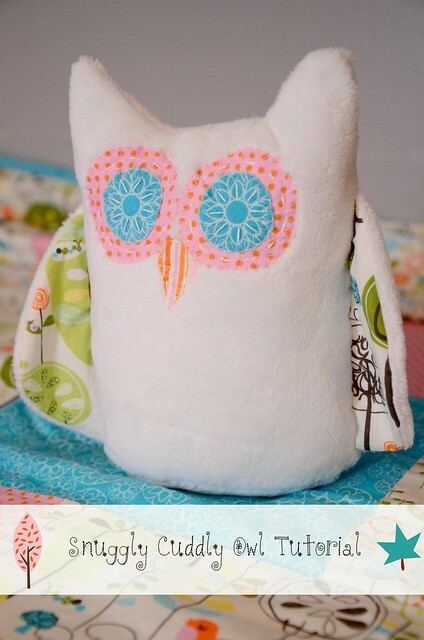 It was featured here: http://www.plushiepatterns.com/cuddly-owl-plushie-pattern-by-new-green-mama/ Thank you for sharing!